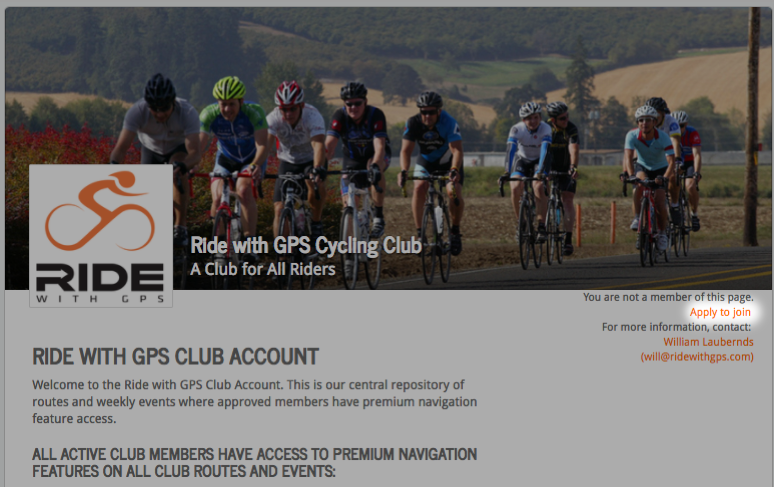 The Club Account allows you to invite, approve, and manage membership to your club. 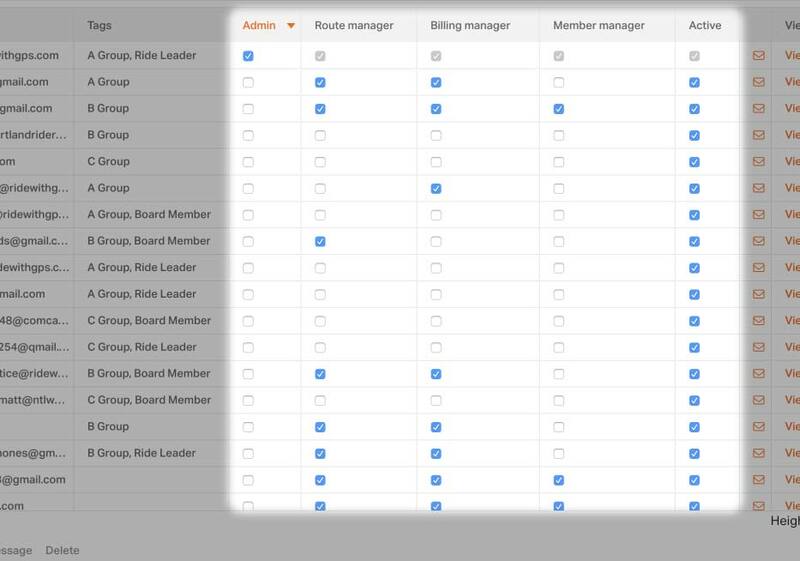 You can also assign roles to your members to manage the route library, other members, and billing. have the ability to view/edit the subscription information and transaction history of the club account. have full access to signature features on all Club routes and events, but can not make any administrative changes to the account (this is the default selection when a member is approved). ANYONE that clicks this link will be automatically added as an approved club member. If they are not signed in, they will be prompted to sign into the website or create an account. 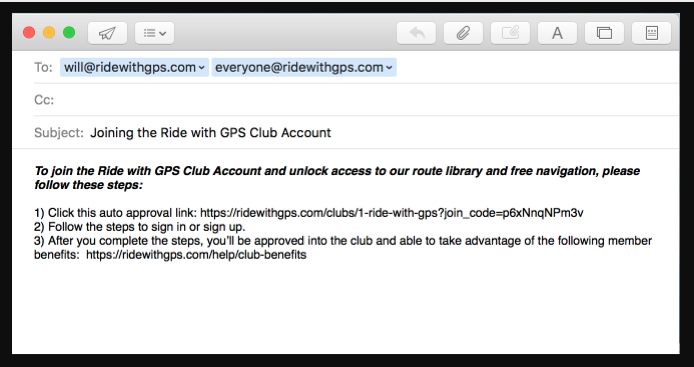 When you send out the auto-approval link to your riders, we recommend also sending them a link to the member benefits page as well to give them an overview of features they’ll have access to and show them how to use those features. 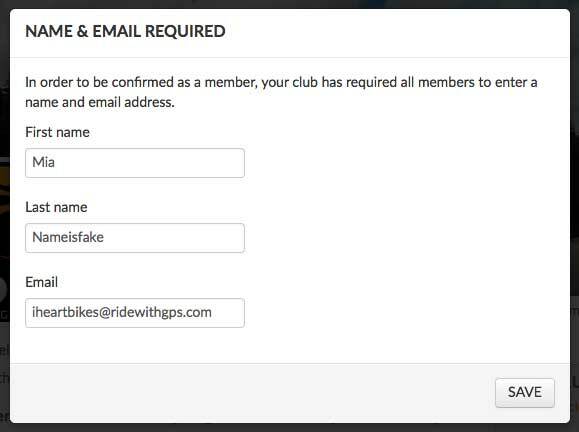 If you have the Require members to set a name and e-mail address option enabled for your club to require an e-mail address, then after the rider clicks the auto approve link and is added to the club they will be prompted to enter a name and email address. (If this information is on the member’s profile page, it will automatically be populated.) This allows the the club managers to keep the rider in communication about club notifications. You can choose to display an Apply to Join link on your Club Page if you choose. Anytime someone clicks this link, a New Club Member Request email will be sent out to the Club’s Member Managers. They can approve any members they wish to approve and set the appropriate permission levels or delete the request from the member list. If you have the Require members to set a name and e-mail address option enabled for your club to require an e-mail address, they will be prompted to enter name and email address after they click Apply to Join. (If this information is on the member’s profile page, it will automatically be populated.) This allows the the club managers to keep the rider in communication about club notifications. You can remove the APPLY TO JOIN button. Only members that have clicked the Auto Approve Link that you have sent to them will be able to join the club. Click on the text field next to the magnifying glass and start searching for members by first name, last name, or e-mail address. The results will show up immediately. 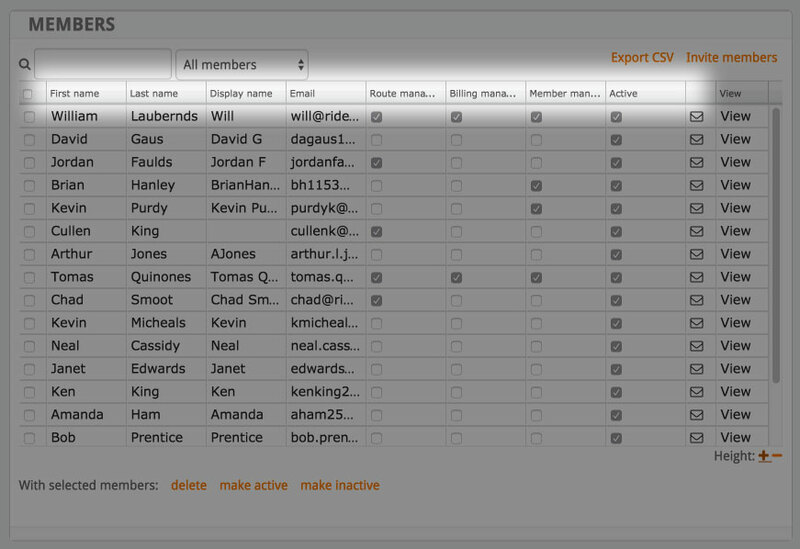 You can also filter your member list by member privileges such as All Members, Route Managers, and Non-Managers. Click on the column headers to sort your members, click a second time to reverse the sort order. 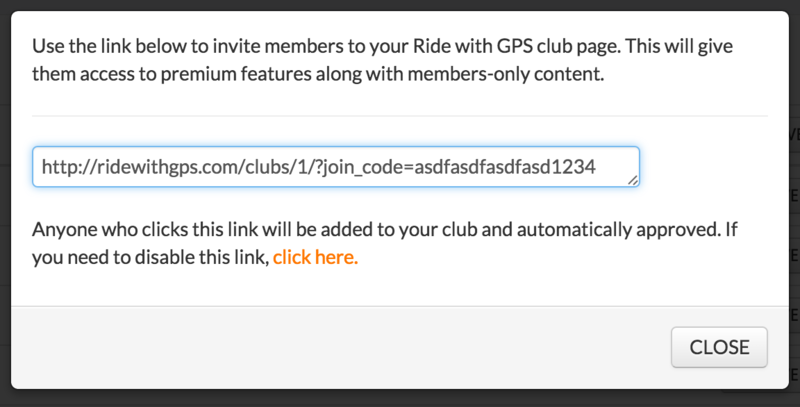 Member managers can tag members of the club. 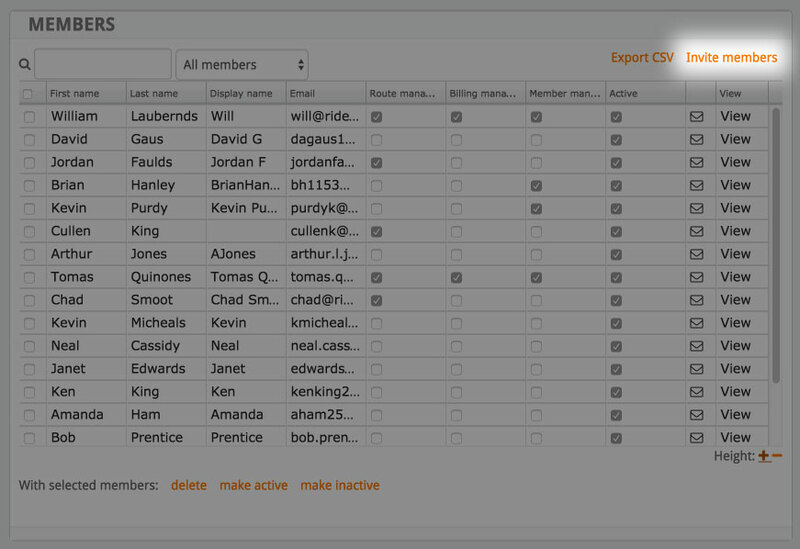 This allows you to add members to specific groups, which you can then filter on and message in bulk. Members can have as many tags as you choose to add. Member managers can double-click a member’s first name, last name, and email address to update it to match their club’s records. Changing the info in the Club member list does NOT affect the member’s actual profile. It only affects how it is displayed in the Club member list. 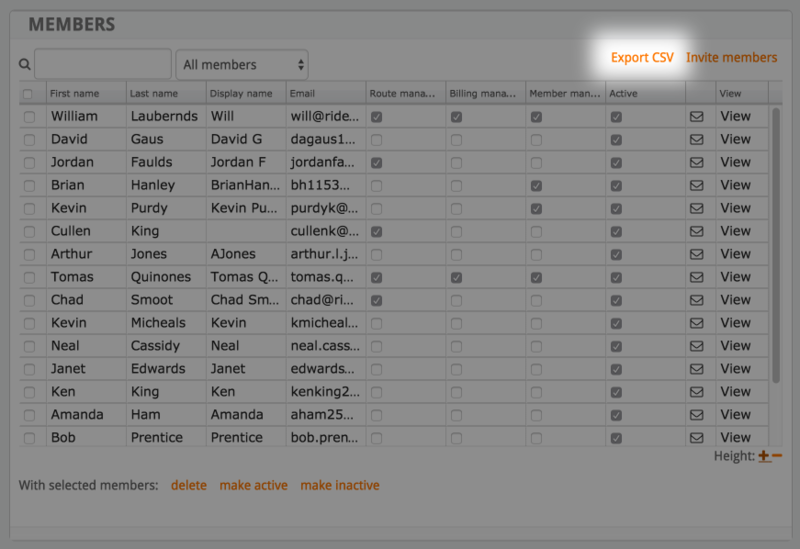 Member managers also have the ability to export the entire club member list as a CSV file that can then be opened in any spreadsheet program like Excel or Google Sheets. This CSV will include the whole member list regardless of your current selection. 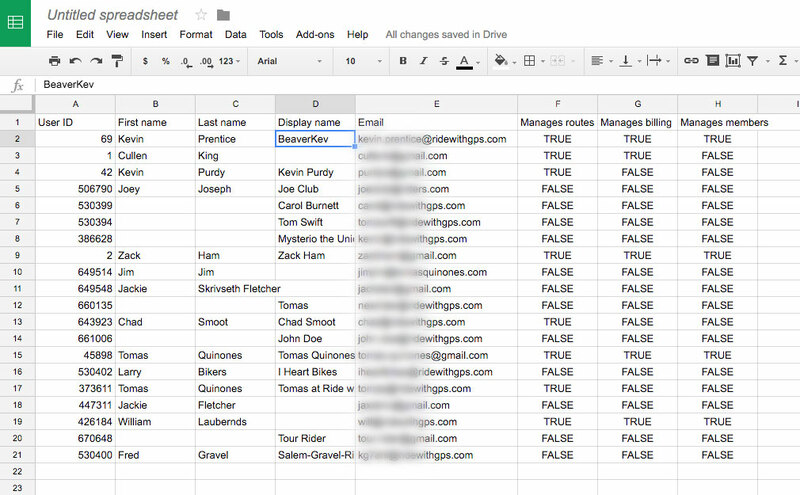 Here’s an example of the CSV file imported into Google Sheets. Member managers can mark club members as active or inactive. Check the box next to the member names to select multiple members and mark them as inactive or active at the same time.